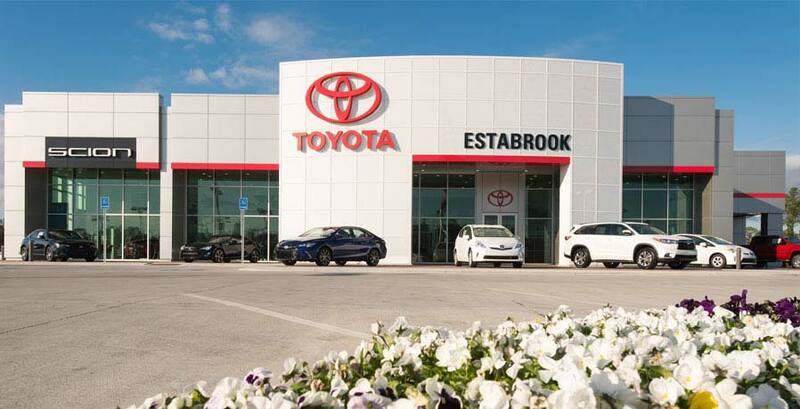 Serving Mississippi and Alabama drivers for over 30 years, Estabrook Toyota is here to provide you with the stress-free Toyota dealership experience you deserve. From expert Toyota service to an expansive new Toyota inventory, our Toyota dealer in Moss Point, MS, offers all the amenities you need to buy or lease the car or SUV of your dreams. As a small-town car dealership, we know that our customers are of the utmost importance, and we’ll always prioritize your experience over sales. Throughout the past 60 years of Estabrook Motors history, our family has seen nearly 30 car dealerships come and go, but we’ve stayed strong as a staple of the Moss Point community. Get the keys to the new Toyota you’ve been eyeing at Estabrook Toyota. Whether you want to buy a new Toyota RAV4 SUV or lease a new Toyota Camry sedan, our selection of Toyota models has what you’re looking for. Those who are shopping on a budget should explore our used Toyota inventory, which includes used cars from other makes. There’s something for everyone on our lot, so don’t hesitate to visit for Toyota test-drives. And once you’ve fallen in love with a vehicle at our Moss Point Toyota dealer, our Toyota financing experts will walk you through the rest of the car-buying or -leasing process. Visit our Mississippi Toyota dealership when your vehicle needs some TLC. Our Toyota service center is here for all your auto repair and maintenance needs. Stop by for an oil change, tire rotation or Mississippi vehicle state inspection when you have time. And if you need more significant auto repairs, schedule a Toyota service appointment around your daily duties. Plus, our Toyota parts center is fully stocked with the OEM Toyota parts and genuine Toyota accessories you’re searching for. 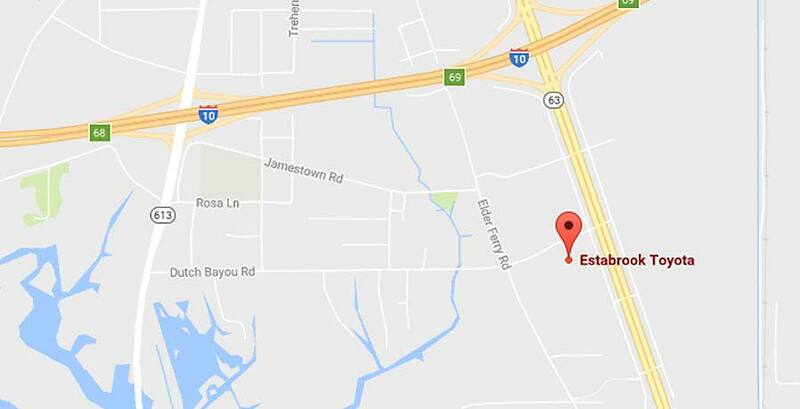 Estabrook Toyota is conveniently located at 6521 MS-63 in Moss Point, MS. It’s easy to reach Estabrook Toyota from nearby towns like Pascagoula and Biloxi, as well as cities such as Mobile, AL. When you want an exceptional car dealership experience, choose Estabrook Toyota! Why Buy at Estabrook Toyota? 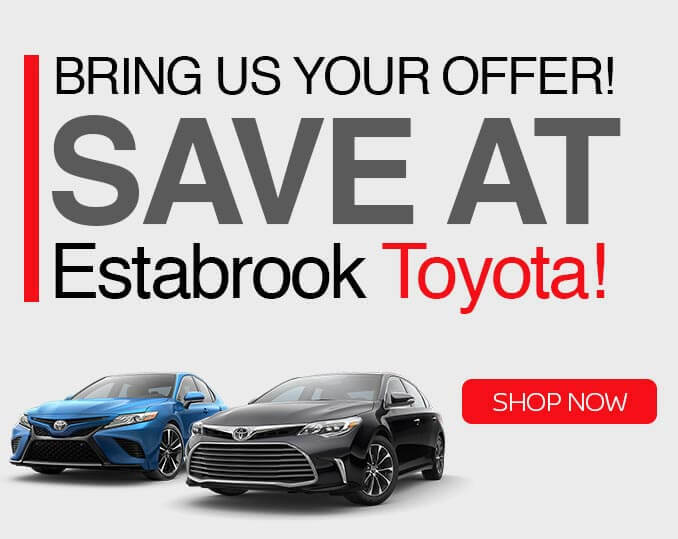 At Estabrook Toyota, we know how much a great deal means to the residents of Moss Point, Pascagoula, and Ocean Springs. Check out our Offers page for tons of great deals on new and used vehicles. In addition to that, we have a host of other specials such as military discounts, student discounts, vehicles under $10,000, and service and parts discounts--all on our website! If you would like to know more, a sales representative is always standing by!